Fire crews battle garage fire Tuesday morning. RAPID CITY S.D. - Rapid City fire units kept a garage fire from burning the attached home on the city's west side this morning. Units from stations 3, 1, 5 and 6 were sent to the 500 block of City Springs Lane out past 41st Street around 8:30 this morning and found smoke coming from the garage of the home at that address. 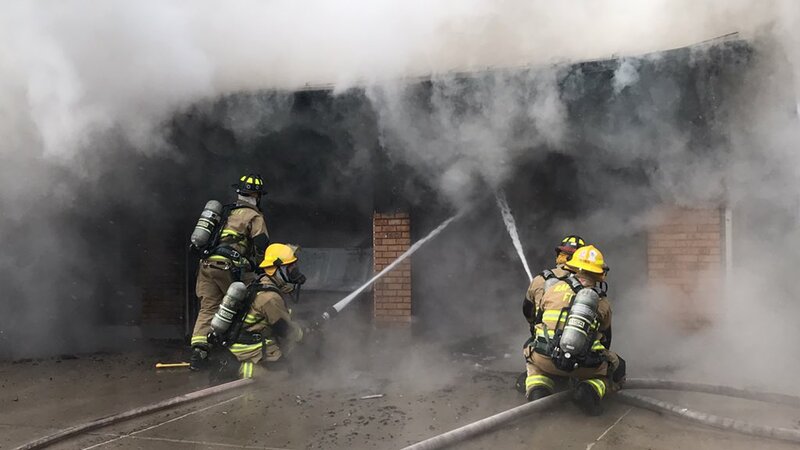 Bussell says a closed door also prevented the fire from moving into the home itself, and says that closed doors provide an important barrier to the movement of any fire that breaks out in a residence. He says there is significant smoke damage to the house but no injuries were reported.